A growing number of pharmacies across the country are being hit by robberies as a result of the rise in addiction to prescription painkillers, the Associated Press reports. The AP reports that armed robberies of pharmacies increased from 280 in 2006 to 686 in 2010 — an 81 percent jump. 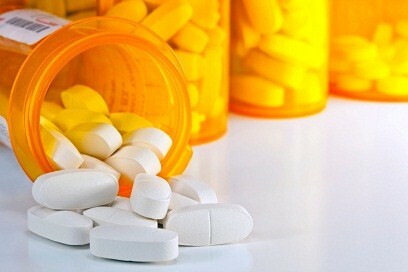 The number of pills stolen increased from 706,000 to 1.3 million during that time period. Opioids such as oxycodone and hydrocodone are overwhelmingly the most stolen drugs, the article notes. Last week, four people were killed in a pharmacy robbery in Long Island, New York. The robber left the scene with a backpack filled with pills containing hydrocodone. The article notes that the street value for opioids can be as much as $80 each. While most pharmacy robberies are not deadly, people have been killed in pharmacy robberies in Sacramento, CA, and Trenton, NJ in the past year. “Drug addicts are always seeking ways to get their drugs,” Drug Enforcement Agency spokeswoman Barbara Carreno told the AP. “Whenever there’s an increase in a problem, you’ll see it manifested in ways like this.” She said that pharmacy robberies may be increasing because authorities are making it more difficult to get painkillers in other ways, such as by instituting prescription monitoring databases that prevent “doctor shopping” by people trying to get multiple prescriptions.